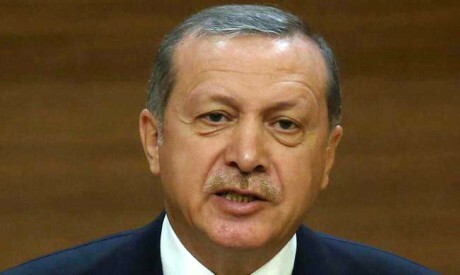 President Recep Tayyip Erdogan on Sunday began a key visit to the Gulf region aimed at defusing the standoff around Turkey's ally Qatar, saying no one had an interest in prolonging the crisis. Erdogan, whose country has come to Qatar's aid in the crisis, had talks in Jeddah Sunday with King Salman who hailed the Turkish leader's "efforts in the fight against terrorism and its financing," Saudi state news agency SPA reported. Erdogan is scheduled to fly to Kuwait later Sunday before heading to Qatar on Monday for his first face-to-face talks with Emir Sheikh Tamim bin Hamad al-Thani since the crisis began. "No one has any interest in prolonging this crisis any more," Erdogan said in Istanbul before leaving on the two-day trip. Erdogan praised Qatar's behaviour in the crisis, saying Doha had sought to find a solution through dialogue. "I hope our visit will be beneficial for the region," he said. On June 5, Saudi Arabia, Bahrain, the United Arab Emirates and Egypt cut ties with Qatar, accusing it of backing extremism and fostering ties with their Shiite rival Iran. The crisis with Qatar has put Turkey in a delicate position, and Erdogan has repeatedly said he wants to see the end of the dispute as soon as possible. In recent years, Qatar has emerged as Turkey's number one ally in the Middle East, with Ankara and Doha closely coordinating their positions on a number of issues including the Syria conflict where both are staunch foes of President Bashar al-Assad. Crucially, Turkey is in the throes of setting up a military base in Qatar, its only such outpost in the region. It has expedited the process since the crisis began and reportedly now has 150 troops at the base. As well as meeting King Salman, Erdogan was also to hold talks with Mohammed bin Salman for the first time since he was elevated to the role of crown prince and his father's heir in a dramatic June reshuffle of the royal house. Erdogan said he supported the mediation efforts of Kuwait's Emir Sheikh Sabah Al-Ahmad Al-Sabah, a possible indication Ankara sees Kuwait as the key to solving the crisis. The Qatari emir said Friday he was ready for talks to resolve the row as long as the emirate's sovereignty is respected. Turkey has also benefited, with its exports to Qatar doubling in the past month to more than $50 million. According to the economy ministry, Ankara has sent around 200 cargo planes filled with aid since the crisis began. Erdogan's tour coincides with a visit to Kuwait by the EU foreign affairs chief Federica Mogherini, who held talks Sunday with Kuwaiti officials. A statement said Mogherini paid tribute to Kuwait's "relentless mediation efforts" in the dispute and called for a resolution "through dialogue and without delay".